Twitter announced new Rules of the Road, which may herald a monetized sea change for social networking. In a blog post, Twitter director of consumer products Michael Sippey outlined a series of changes that will eventually make up version 1.1 of the social networking application. Among them are significant changes for third party developers, and some affected developers claim that this means that Twitter intends to keep its monetizing options open. The fewer third parties there are occupying the space, the argument goes, the more opportunities there are for Twitter to make money. The Rules of the Road are guidelines for developers, telling them what they can and cannot do with Twitter. If a developer disobeys the rules, their Development Key is revoked. The three major changes announced in Sippey's blog post are: display guidelines, previously just suggestions, are now requirements. Pre-installed client applications must be certified by Twitter before release. Finally, Twitter's putting a cap on the user base, and applications will not be able to exceed that cap without express permission from Twitter. The display requirements are intended to create a uniform experience for Twitter users. "If your application displays Tweets to users," says Sippey, "and it doesn't adhere to our Display Requirements, we reserve the right to revoke your application key." Any apps that are pre-installed on chips, SIM cards and the like must be certified by Twitter first, a requirement that will tend to slow or even prevent third party apps from being circulated. Again, according to Sippey this is being done to ensure a uniform Twitter user experience, and if "you ship an application pre-installed without it being certified by Twitter, we reserve the right to revoke your application key." Finally, third party apps are capped at 100,000 users and cannot have more without express permission from Twitter. Existing apps which already have in excess of 100,000 users are permitted to keep their users, so long as the app user base never exceeds 200% of its current total. Third party developers are concerned at what this may mean for the future of Twitter. Tom Scott, developer of Klouchebag, claims this is part of a strategy designed to "squeeze out" third party developers, leaving the way clear for Twitter to monetize its social network. 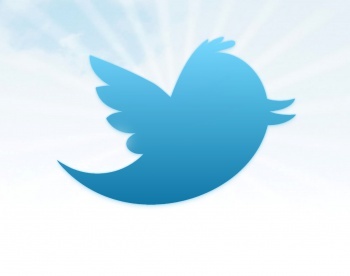 According to Scott, Twitter is looking at its user base and seeing where profits can be made. Money comes from promoted Tweets and topics, so Twitter is tailoring its service to those who they see as their core audience. The less outside chatter on the network, the easier it is for Twitter to monetize its preferred promotion-guzzling customer base. Says Scott, "Twitter's decision makes fine business sense but, frankly, it's rude."